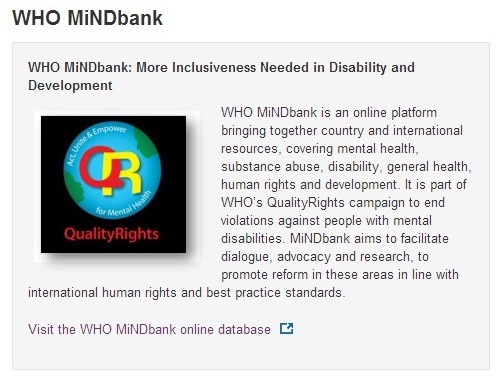 The WHO MiNDbank Project is an online resource covering resources across mental health, disability and development. WHO MiNDbank – SIERRA LEONE Country Resources. ← Annual Sierra Leone Mental Health Conference – SAVE THE DATE!